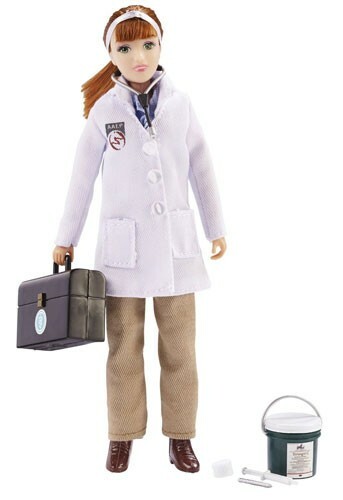 Prepared with her medical bag, this 8" veterinarian doll is ready to cure whatever ails your horse. 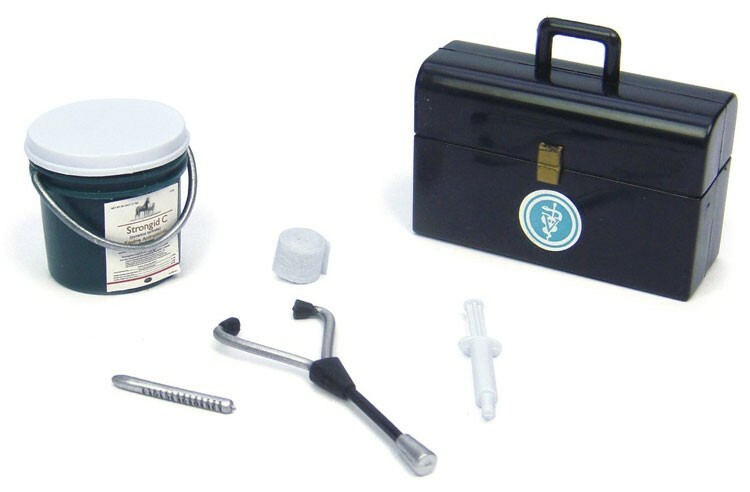 Whether it's just a checkup or colic, she has all the tools needed to keep your horse healthy and happy. Veterinarian Lauren is fully articulated and comes with a vet bag, stethoscope, thermometer, syringe, bandages, and a tub of medicine. The accuracy and representation of this educational doll is recognized by the American Association of Equine Practitioners. For more pretend play toys for aspiring veterinarians, visit our Veterinarian section in Career Pretend Play.